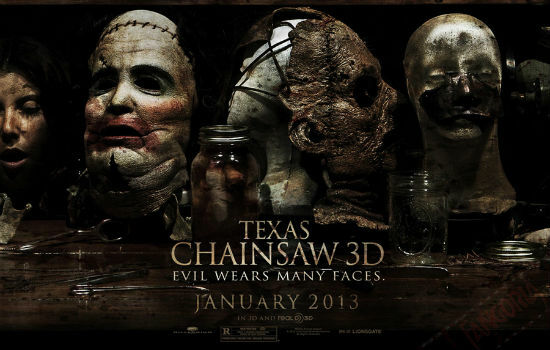 Texas Chainsaw 3D – Happy New Year! 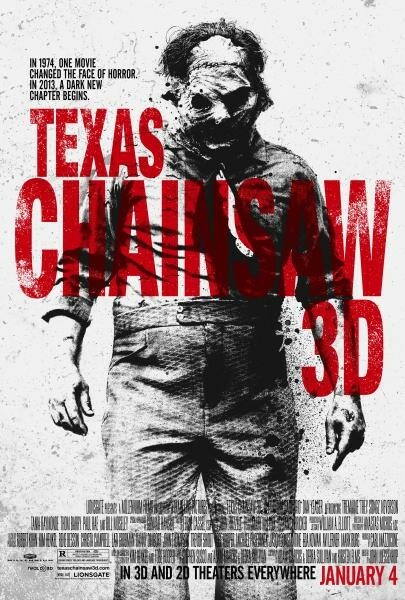 “Lionsgate’s TEXAS CHAINSAW 3D continues the legendary story of the homicidal Sawyer family, picking up where Tobe Hooper’s 1974 horror classic left off in Newt, Texas, where for decades people went missing without a trace. If you hear the gruesome sound of a running chainsaw then it’s too late, just pray and get ready to reach your final destination! In theaters: January 4, 2013. It’s almost hilarious to see that freak running after the car with his chainsaw. But if I was in that car I guess I’d have a heart attack! The film is starring Alexandra Daddario, Dan Yeager, Tremaine Neverson, Scott Eastwood, Tania Raymonde, Shaun Sipos, Keram Malicki-Sanchez, James MacDonald, Thom Barry, Paul Rae and Richard Riehle, along with special appearances from four beloved cast members from previous installments of the franchise: Gunnar Hansen (the original Leatherface), Marilyn Burns, John Dugan and Bill Moseley. In theaters January 4, 2013. 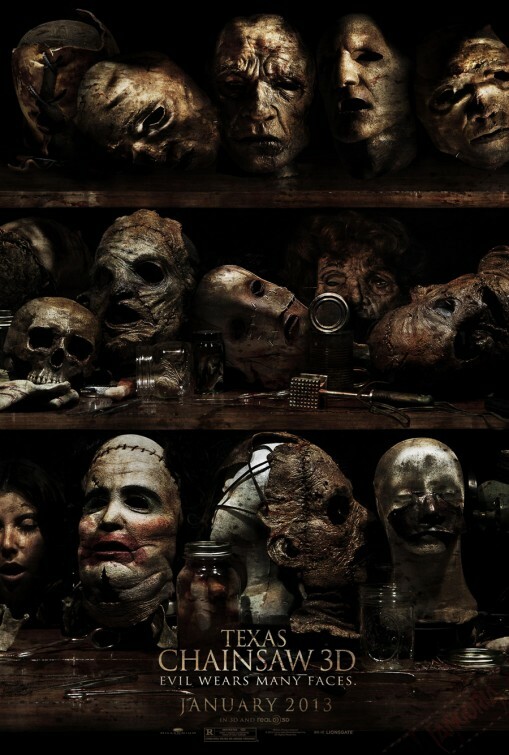 Texas Chainsaw 3D – Who is that? What would you do if there was someone wearing a mask coming at you holding a running chainsaw? Would you run away or show off your combat skills? In 1974, one movie changed the face of horror. In 2013, a dark new chapter begins! The film is directed by John Luessenhop and the cast includes Alexandra Daddario, Dan Yeager, Tremaine “Trey Songz” Neverson, Scott Eastwood, Tania Raymonde, Shaun Sipos, Keram Malicki-Sanchez, James MacDonald, Thom Barry, Paul Rae, Richard Riehle, Bill Moseley, and Gunnar Hansen. In Theaters: January 4, 2013. Maybe better to stay away from Texas if you don’t want your face on that wall? 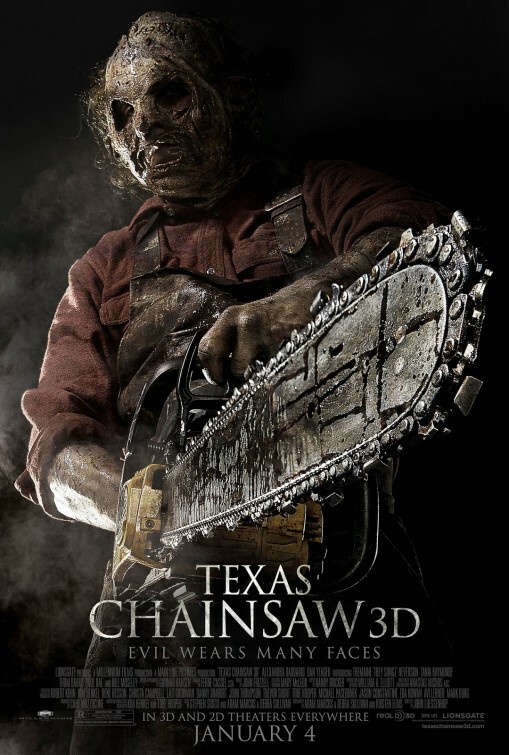 The release date of The Texas Chainsaw Massacre 3D is set for January 4, 2013. The film is a sequel to the 1974 horror film. Directed by John Luessenhop, the cast includes Alexandra Daddario, Tania Raymonde, Sue Rock, Scott Eastwood, Bill Moseley, Gunnar Hansen, Trey Songz, Keram Malicki-Sanchez, Shaun Sipos, Thom Barry, Paul Rae and Richard Riehle. 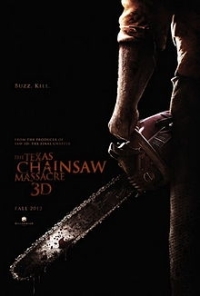 The release date of Texas Chainsaw Massacre 3D has since been pushed back to January 4, 2013. A bloody disgusting slasher movie to start 2013, hell yeah!